Along comes an Annual Limited Edition (this is the 2016 edition, number #01… I guess the ‘0’ signifies that they have confidence there will be at least 9 more?) called “The Bartender’s Malt”. This is an NAS release assembled via some media stunt involving a cadre of 12 “international” bartenders of some renown, apparently. The slogan “For Bartenders By Bartenders” on the label threw me for a second as I am not a bartender, but the price tag ($43) and the proof (47% ABV) swayed me and I picked up a bottle. I spent some time trying to delve into the contents of the vatting that make up this edition, but it appears to be such a muddle of styles and ages that identifying individual characteristics is a fool’s errand: Auchentoshan triple-distilled malt from 5 different decades, including wood such as American oak, European oak, sherry casks, red wine casks, and German oak, of all things. On their own, some of those components (especially the 5th decade – do tell!) might be interesting, but vatted together like this it’s all just going to taste like Auchentoshan. Although it is not discussed on the website nor the label, I imagine the goal here is to create a single malt that is useful in cocktails. 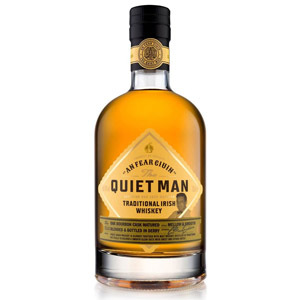 This explains the elevated ABV (although 47% instead of 46% smells of trying too hard) and the choice of Auchentoshan malt, which is more liable to blend with other ingredients and not stand out on its own. I’m not sure why all the fanfare is necessary, so the real goal is probably just another excuse for a press release. Nose: Slightly spirity, top notes of lemon peel, light honey, pale sweet malt. Pleasant, but not exciting. 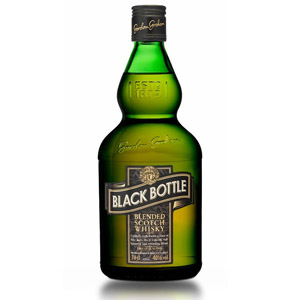 Palate: Medium, syrupy body. Mild tongue burn. Raspberry, white tea, “cooked” malt (tastes like cooked cereal grains – like porridge – rather than fresh/raw – like… I dunno, granola?). Finish: Medium length. Honeycomb. Evolves slightly around malty/sweet/cereal flavors. Some mild oak tannin and a little charcoal bitterness. Fades classically, with walnuts and a nice marshmallow note. With Water: A few drops of water don’t seem to open up the aroma much… perhaps even closing it off instead. A rest in the glass reveals a sweet melon note. It also softens the palate a bit. Water is beneficial with this dram, as long as you’re willing to be patient with it. Overall: A very standard-tasting malt with no rough edges. 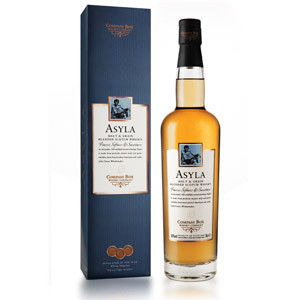 A robust and well-chosen 47% ABV keeps it sprightly while the lowland malt keeps it sweet and unchallenging. Definitely a decent summer malt, and I wouldn’t fault anyone for putting a few ice cubes in a glass of this on a hot day. Still, the liquid doesn’t set itself apart from any ex-bourbon Highland malt in the $40 price range or even the entry-level American Oak if you don’t care about the ABV. You won’t be disappointed in your purchase, but you also probably won’t go back looking for another bottle. 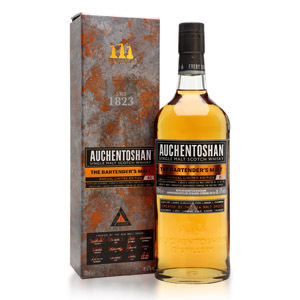 Auchentoshan (a toughie to pronounce: Aw-ken/tosh-an) is one of the few remaining Lowlander distilleries in Scotland. It’s also notable for its use of “triple distillation” to make its spirit. This means rather than using two stills to distill the beer-like wash twice, like most Scottish distilleries, Auchentoshan processes the new-make spirit in three stills (three times). 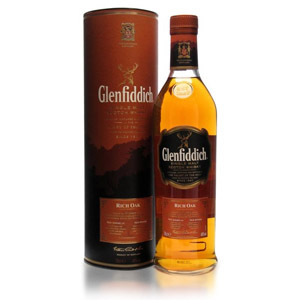 This creates a higher-proof final distillate (around 82% ABV) which is lighter and sweeter in flavor than most Scotch. I wonder if they ever release a cask-strength bottling! Wowza! [update: They do, but as the whisky is diluted to typical ‘cask-strength’ of around 63% ABV, it’s not much stronger than other whiskies. What I really want to try is the new-make spirit. 🙂] Note that many Irish distillers also triple-distill their whiskey. Just picked up a bottle of this recently. Looks to be my next bottle opened based off of your review. Thanks so much and keep them coming! I have yet to find an Auchentoshan worth paying money for. I find it incredibly bland and boring. The only exception being the American Oak (but it’s not a positive exception). My friend bought a bottle of A.O. and poured me a glass; it was the ONLY whisky I haven’t been able to finish. It was horrid! It tasted like wet, mouldy cardboard. After two sips, I apologized and said I didn’t like it, my taste buds must be off, etc. He said he thought it was just him. Ha! Damnedest thing – I really didn’t care for the 3 Wood. I bought it because, at the time, it was the only Lowland to be had in Iowa and I like to have a bottle from each of the whisky producing regions of Scotland because…it’s my bar and I can do whatever I want. Anyways, I felt the Three Wood had this odd, off putting over-ripe fruit note that I can’t quite place but that I definately know when I taste it. The worst version of this was a bottle of Glen Scotia which is a single malt Canadian Whisky from Nova Scotia, made in the style of a scotch whisky, which I just don’t care for. The other time I noticed this was in a bottle of Dalwhinnie. It’s not the sherry-monster that the Noob described in his write up…I like the sherry bombs just fine. This is something else. Noob, what the hell am I tasting here? Am I the only one? It’s been awhile since I had the Three Wood, so I’m not sure. I sometimes get overwhelming amounts of rotten banana from (especially) ex-bourbon malts like Dalwhinnie. They sneak up on me, too – I don’t notice them at first and then a few minutes later I can’t smell anything else. I don’t remember getting that from the Three Wood (heavy sherry tends to mask it, I think), but you never know. Tasting is extremely subjective. 🙂 Cheers! Glen Scotia is a Campbeltown Scotch Whisky. Glen Breton is a Canadian Single Malt. Right you are…my mistake. Glen Breton is the one I had. I concur with most others in that Auchentoshan is a challenge to get excited about. However, I do have a fondness for malts that exhibit a feature that one can find ONLY in that malt. For Auchentoshan, that is the green apple note that is distinctive to Auchentoshan. I won’t lower myself to drink the American Oak. The 12 for $40 is perfectly lovely. My fav of the official bottlings is the 18 (matured exclusively in ex bourbon) unlike the 12 and 21 which are a blend of ex bourbon and sherry. But the trophy goes to a Cadenhead’s independent 17yr old 1999 vintage Auchentoshan bottled at a luscious 55%. Most recently still available at a certain large Chicago liquor chain for an even more luscious $70.